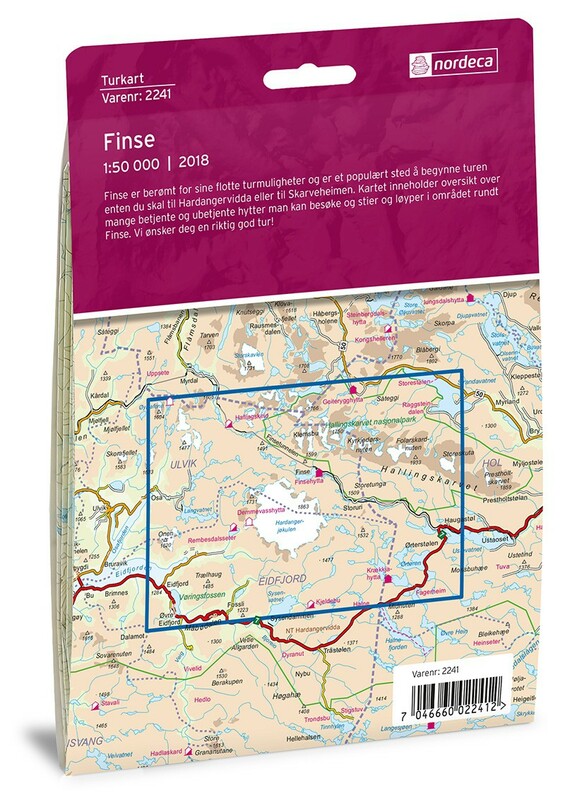 Hiking Finse map at 1: 50 000 covers the area of the Hardangerjøkulen glacier, and a part of the mountains Hallingskarvet. 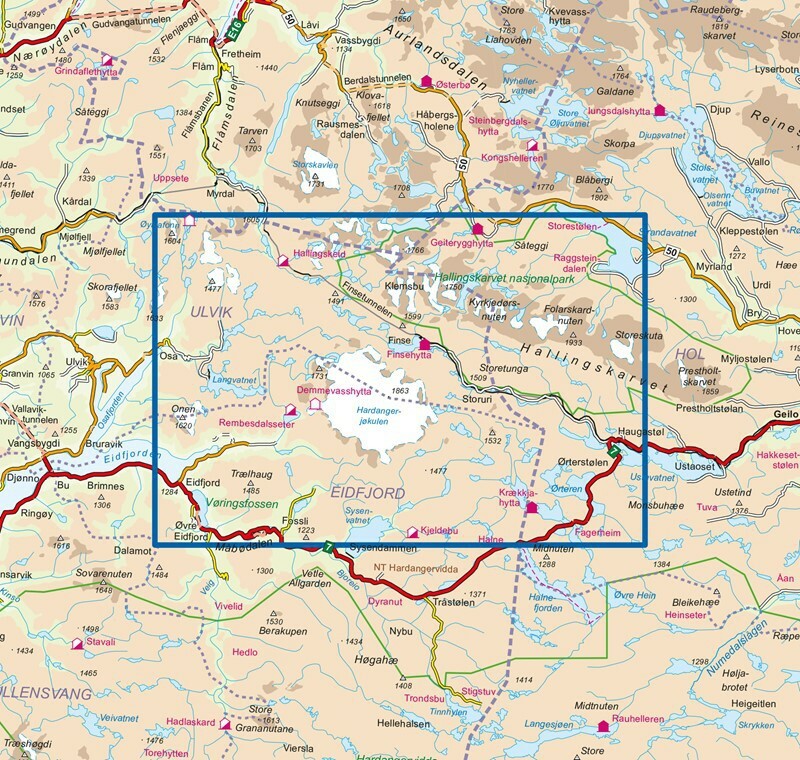 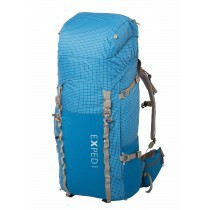 The limits in the North are: Geiterygghytta (DNT Oslo refuge), in the West: Eidfjord, in the South: Dyranut Turisthytta, in the East: Fagerheim Fjellstugu. 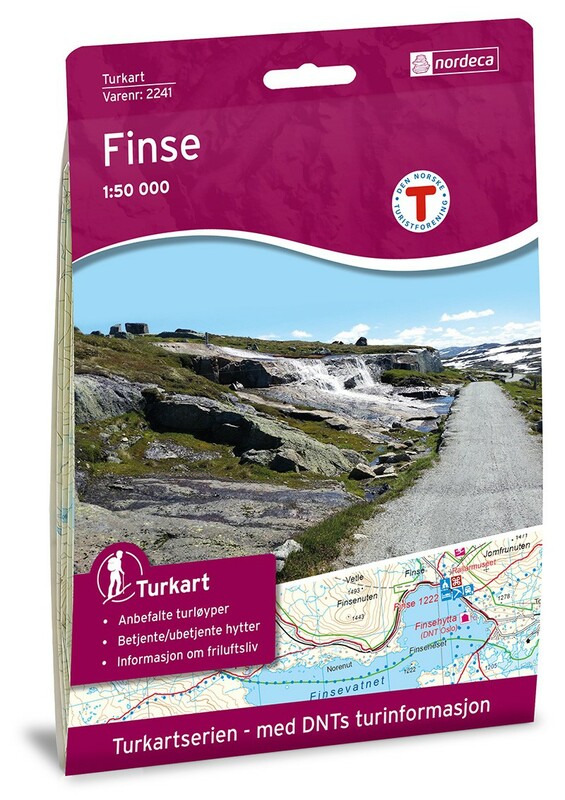 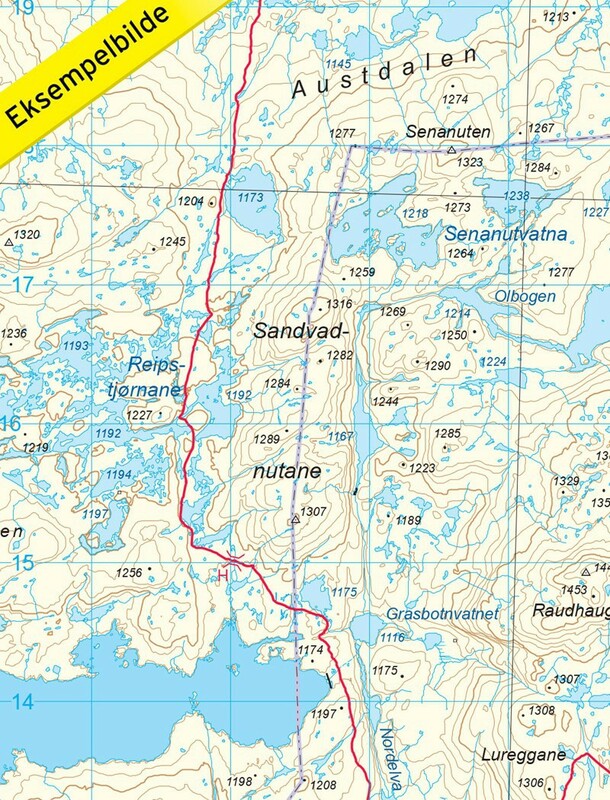 Finse map is compatible with the GPS (UTM grid).